Looking for a way to help your rabbit put on weight? This post explores the best weight gain foods for rabbits and brings you a guide. 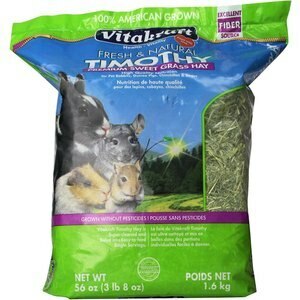 Rabbit Pellets (Check Price) Feed these twice daily. Hay/Grass (Check Price) Give unlimited access throughout the day. Treats (Check Price) To be fed in moderation. It’s difficult to know what exactly constitutes a good weight gaining rabbit food. After all as owners rather than vets, it’s not an area you would have received any training in. However, this is why we’ve decided to write this article. In an effort to save you time trawling through the market looking for the best rated rabbit foods for weight gain. As an owner of any pet, seeing your rabbit underweight or refusing to eat can be heart breaking. This section of the article explores how you can help you rabbit gain weight, and get itself to a healthy size. If your rabbit is at an unhealthy weight, it’s at risk of becoming seriously ill. Underweight rabbits are less likely to be able to fend off illnesses, so it’s best to ensure your rabbit stays within a healthy weight range. The most effective way of increasing your rabbits weight is by adjusting its diet. In order to do this effectively, you’ll need to find the best weight gain food for your rabbit. We’ve listed some tips below to help you find the reason why your rabbit is underweight, and help you get your bunny back to the healthy weight it deserves. Sometimes the most obvious place to start can be the best. Hay and or Grass is essential for your rabbit to graze on throughout the day. Due to the fact that rabbits are grazing animals it’s important they have a constant supply to this kind of food. As are grazing animals that should have a constant supply to food throughout the day. If you’re concerned about your rabbits weight, it’s important to get to the bottom of it. If it comes to the point where you need to get your rabbit to the vet, they’re going to ask you about your rabbits eating habbits. Like many of us, it’s likely you have to work during the day. This makes it difficult to keep a constant eye on your rabbit. However, you can keep on eye on the levels of hay and grass that it’s currently eating. You then have something to report back to the vet should they ask you about your rabbits eating pattern. If your rabbit looks like they’re eating well, but are still failing to gain weight then try giving some treats. Treats don’t have to be expensive ones bought from the pet store either. You can try using chopped up vegetables or fruit such as carrots as a treat. 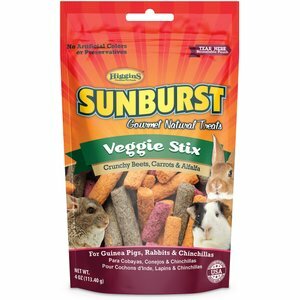 Your rabbit will appreciate these, but try not to go overboard due to the high sugar content in fruit and veg. Not strictly a food tip, but examine your rabbits exercise routine. Of course, exercising burns calories but if your rabbit is getting no exercise it could indicate larger problems. For example, if your rabbit has a health condition that impacts it’s mobility it may be depressed. Lack of exercise will stop it building up much appetite and potentially eating. Weight gain food is something you could try implementing if you’ve exhausted the above options. Any of the rabbit food for weight gain mentioned in this article would be great, however we’ve also done a guide on healthy rabbit food which you can read here. If you’ve tried the options above and still aren’t getting anywhere, there may be a greater cause for concern. It’s important to get your rabbit checked out to ensure that there’s not another reason for your rabbits unhealthy weight. As above, your vet is likely to want to know your rabbits eating habits. It’s best you know these first, to help your vet in the decision making process. Remember, if you feel that your rabbit needs urgent care or attention, always consult your vet in the first instance. Never take matters into your own hands if your rabbit’s showing obvious signs of ill health. Always consult a vet if you have immediate concerns. Great weight gain rabbit foods need to be nutritionally balanced, containing both protein and fibre. 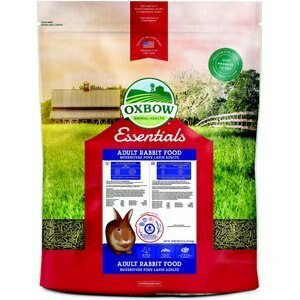 Essential nutrients for helping rabbits gain weight. We recommend using something purposely built for assisting rabbit weight gain. The products mentioned in this article are great examples of weight gain foods for rabbits, that will improve their weight and muscle mass. Rabbits need to maintain a healthy weight in order to help them prevent health risks. Being in a healthy state also allows them to fight off illness and infections when they do occur. Remember, the most effective way of helping your rabbit achieving a healthy weight is dietary adjustment. This combined with the best weight gain food is likely to be a win. As rabbit owners, you may find it difficult finding the best rabbit food for weight gain. After all, this could be the first time weight gain has been a concern for your rabbit. This is why we decided to write the article, to save you some leg work. Hopefully this has paid off and you’ve chosen one of the best weight gain rabbit foods on the market to get your bun on its way to healthy weight. Remember, if you have any immediate concerns regarding your bunnies weight, consult a vet. You could have the best weight gain rabbit food for underweight rabbits but if you’re rabbits sick, it won’t help. Vets are the medical experts and while we offer good quality advice, we’re not medical professionals. Hopefully this post has given you some great tips for getting your rabbit fighting fit, and we wish you all the best in your rabbits recovery.